Business content can be fun and educational. Here’s the proof. TopRank and The Content Marketing Institute have teamed up with 27 smart marketers to put together a notebook of tips and tricks for marketers. If you don’t read the 29 secrets eBook, that’s OUR fault. If you don’t read it, your problems won’t be solved, you won’t see us as brilliant and helpful people, and you certainly won’t buy our books, read our other offerings or hire us to help you dominate the Web. In other words, no one wins when the content is safe conservative business-speak boring. Think about that when looking at your site. I talk about building your “Markishing Department” in my new book. I like this because the hard part is over. 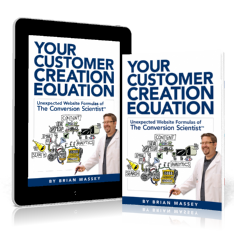 The book is launching September 5 at Content Marketing World. Unexpected Formula #1: Your opinion doesn’t matter. We have an amazing ability to provide a service through our websites. They are actually software programs. Did you know that? Just puts a “!” on my point above. Human mans not boring. I talk about the blogcano eruption in my book. Love this tip. If for no other reason than because you are. Yes, I’m in there, too. I don’t know how this line got in there or what I was thinking. Give me your interpretation in the comments.